We've all been there. Whether it was us, or one of the kids, there always reaches a point in your long-desired summer vacation when the words happen: "I'm Bored." And if you're anything like me when I was a youngster, it happened about 2 hours into my summer break. We say goodbye to our students every year in June, and usually that's all we think about. It's the goodbye, the finish line. School---done. Summer---beginning. What we don't think about is the fact that these kids will now spend every waking moment NOT in school, and will need to fill the activity void with engaging, time-consuming activities. 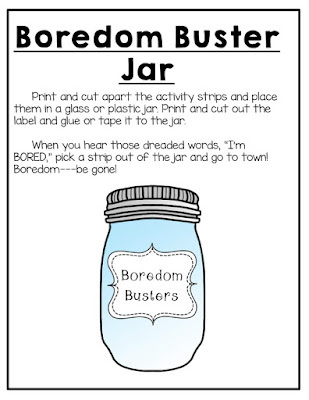 I don't know about you, but if my kids are even half like me, there are a few "I'm Bored"s flying around by the time the sun sets on the last day of school. Well, fear not, Summer Parents (and Kids! 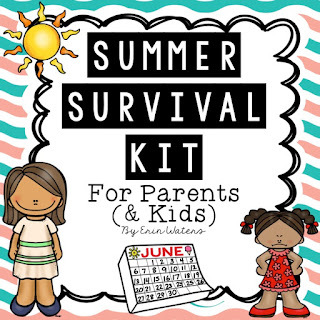 ), because my Summer Survival Kit is here to save the day! This pack is filled with verrrrry low-prep activities that will keep your little guys and gals busy all summer long. 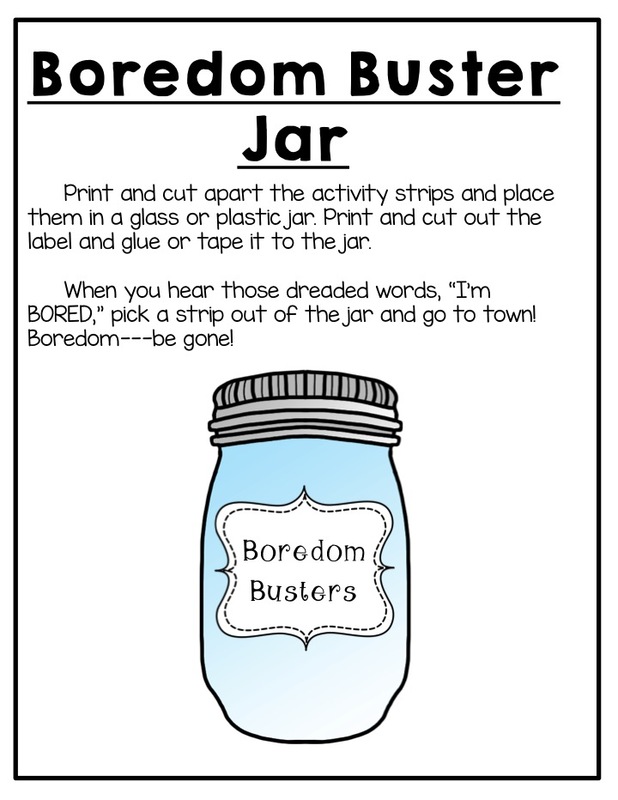 Click HERE to get a little snippet of this pack, my Boredom Buster jar! Enjoy and here's to a fun-filled summer! This is exactly what my little needed as we try and curb the Minecraft! Thanks.